Submersible pumps are designed to withstand submersion in the fluid to be pumped and to efficiently push the fluid to the surface. They available in single and multi-stage models. Single stage pumps are used for drainage, sewage pumping and slurry pumping. 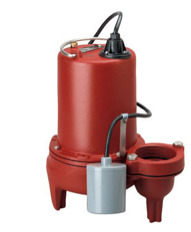 Multiple stage submersible pumps are typically used in water and oil wells. Pump Express customer service agents are standing by to provide technical assistance, price quotes or to answer any questions you may have regarding the submersible pumps we stock and sell. Call Our Toll Free Number 1-800-298-4100.